I haven't posted an update in a month, so consider this one apologetically long overdue. September has been a very busy month for me and my family. My daughter started Junior Kindergarten, my son attended his first playgroup (with me, but without his sister for once! ), and we've generally been go-go-go all month. I've also booked in quite a few books for review, so I'm reading and writing reviews as quickly as I can! October 7th is my blog's one year anniversary, and I'm so excited that the site is still ticking along after a year. I've got lots of things planned for the week of the anniversary including a giveaway and a series of posts reflecting on the last year, books in general and what I hope to accomplish in the coming year. Please come by, particularly on the 7th, to celebrate with me! 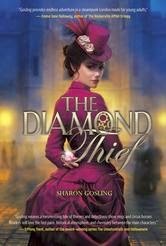 Reading: The Diamond Thief by Sharon Gosling. I've had this one for a while, and now that I've really gotten into it, I'm loving it! Review on October 1st, so come back for it. Watching: Lots of DotA2 games, it's been a busy month for it, and I'm trying to get a better feel for strategies and such. Playing: Dead Rising 3, co-op zombie game. Love it! Feeling: That I need to clean the house. Loving: The last little burst of summer weather we've been enjoying this week. I'm not looking forward to the cold weather that's on the way. Hating: DDOS attacks that have delayed/ruined DotA2 games. Planning: My daughter's Halloween costume. I'm not at all crafty so it's going to be a challenge to make her over as the Pirate Fairy. Thinking: I need to find ways to make the most of the hours I do have before I get buried. Also that I should probably clean the house. I loved the cover, I loved the concept, but the story itself was just too slow for me. I understand that the last third really picks up the pace and that it's full of big reveals and 'whoa' moments, but... I couldn't get there. I was dragging my heels and finally realized that I didn't have time to dillydally with this one. So DNF. I had been eyeing this book for months, and I finally caved and ordered myself a copy. *sigh* It was so disappointing, guys! I was expecting this epic flirtation via stories being shared in a creative writing course, while something in reality prevented things from really blossoming until some big problem was overcome.... Instead it was an exercise in poor communication (as so many romances are, to be fair), but there was also never that really fulfilling romantic moment. I pseudo-DNF'ed this one by skipping to the ending after a few chapters, then skipping back and skim reading through the rest of it. So first, I don't think the cover really gives a solid feel for the book. The cover has an almost Cruel Intentions feel to it - very wicked, very deliberate. But the relationship in the book between Carmyn and Dallas is a lot sweeter than that. Carmyn is a pretty typical example of the 'good girl.' She's just broken up with her long-time boyfriend, the man she planned to marry (and had already planned three potential weddings around). Devestated by having her plans ruined and by her ex's betrayal, Carmyn tries to loosen up a little with Dallas. Dallas is kind of a bad boy. He's got a reputation as a ladies man, he rides a motorcycle, he works with his hands - but we know he's deep and intellectual because he makes art! He knows very quickly that Carmyn is what he wants - rather than dancing around his feelings. Wicked Thing was a fun read, fairly typical of the NA genre right now. I enjoyed reading it, but it didn't make a lasting impression. I'd recommend grabbing it if you like the genre already, but maybe hold off if you're looking for an entry point. Pure fluff, I'm a huge fan of Jayne Ann Krentz and her many pen names. This book felt a little light on material, but it was still a fun read, and exactly what I expected. I picked it up wanting something that would be entirely entertainment and that's what I got! Last week was a good one for the blog. 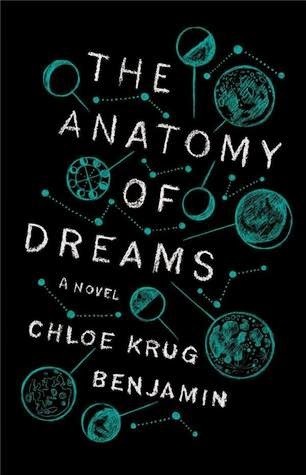 I reviewed a real mix of books, starting with a book that I DNFed, and ranging there from middling and really mixed to tear-inducing to surprising and fantastic. Of course I'd love to read only really great books all the time, but I really love reading a range of books too. The week ahead brings a pair of blog tours - Wednesday and Thursday - for historical romances. I'm also going to take a look at the second book in Keri Arthur's Spook Squad series (Tuesday), a geek-romance novella (Monday) and a YA-fantasy book on Friday. 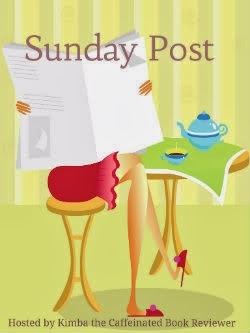 How was your week, what gems did you find online, what books did you read? Let me know in the comments! `Sounds like a busy weekend. Hopefully kindergarten is going well and your son is enjoying his time on his own. I enjoy Jayne Ann Krentz but haven't tried her Jayne Castle books. Have a great week! It does sound like you have been quite busy! I feel for you as I've been on the go constantly as of late as well. It makes for a month that just flies by, doesn't it? I'm glad to hear that you are fitting some good reads in though as that makes it all better :) Have a great week! Quite a busy week you had! Your books are awesome! Hope you're enjoying them!